The domestication of plants and animals was one of the greatest steps forward taken by mankind. Although it was first achieved long ago, we still need to know what led to it and how, and even when, it took place. Only when we have this understanding will we be able to appreciate fully the important social and economic consequences of this step. Even more important, an understanding of this achievement is basic to any insight into modern man's relationship to his habitat. In the last decade or two a change in methods of investigating these events has taken place, due to the mutual realization by archaeologists and natural scientists that each held part of the key and neither alone had the whole. Inevitably, perhaps, the floodgate that was opened has resulted in a spate of new knowledge, which is scattered in the form of specialist reports in diverse journals. This volume results from presentations at the Institute of Archaeology, London University, discussing the domestication and exploitation of plants and animals. Workers in the archaeological, anthropological, and biological fields attempted to bridge the gap between their respective disciplines through personal contact and discussion. Modern techniques and the result of their application to the classical problems of domestication, selection, and spread of cereals and of cattle were discussed, but so were comparable problems in plants and animals not previously considered in this context. 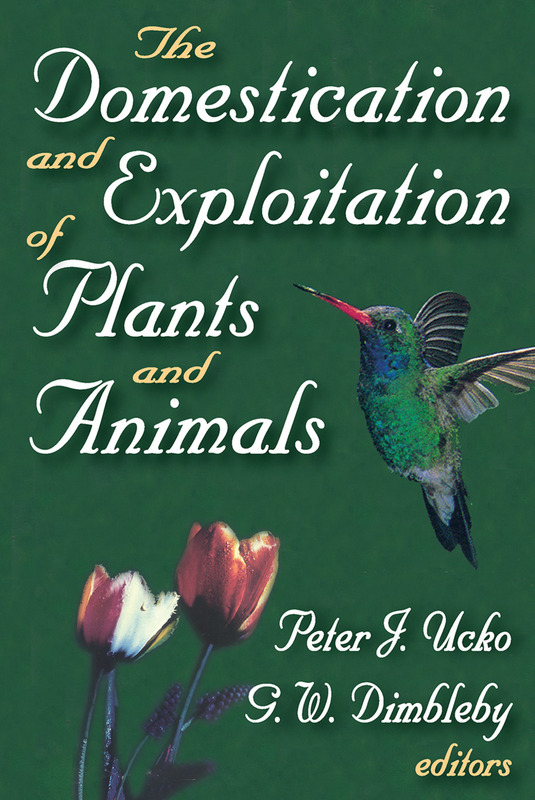 Although there were differing opinions on taxonomic classification, the editors have standardized and simplified the usage throughout this book. In particular, they have omitted references to authorities and adopted the binomial classification for both botanical and zoological names. They followed this procedure in all cases except where sub-specific differences are discussed and also standardized orthography of sites. Animal domestication in the Neolithic cultures of the south-west part of European U.S.S.R.